The below terms and conditions apply to all orders via the website www.dækekspert.dk. A contract will be governed by the terms and conditions in force at the ordering time. reifencom GmbH's registered office is located in Hannover (registered with the business register at the district court of Hannover (Handelsregister Amtsgericht Hannover) under HRB 217313). The goods shown on www.dækekspert.dk do not constitute a binding offer to conclude a contract but are solely shown as an invitation for you to give a binding offer. You give a binding offer to conclude a contract when you place an order by clicking on the button "Place binding purchase offer ". As soon as we received your order, you will receive an e-mail in which we confirm the receipt of the order, and in which the contents of the order is specified ("order confirmation"). 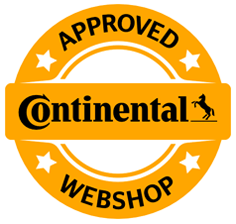 Upon ordering rims and/or complete wheels, dækekspert.dk will according to your wish perform a technical pre-assessment of whether the ordered rims/complete wheels are technically compatible with your vehicle under normal circumstances. This requires that you provide certain technical information about the specific vehicle. If the result of the technical pre-assessment is negative, you will be contacted by dækekspert.dk's customer service, and you will then have the opportunity to either maintain or annul your order, and possibly place a new order. Placing a new order constitutes a new binding purchase offer from you, upon which dækekspert.dk will send a new order confirmation. If you wish, you also have the option to wait to send the information necessary to carry out the technical assessment of whether the product is compatible with the vehicle until after you have placed your order by clicking "Place binding purchase offer". In such case, you will receive an e-mail from dækekspert.dk with an invitation to submit the necessary information. If you do not submit the necessary information about the vehicle, your order will be rejected by dækekspert.dk, and no contract will be concluded. You may also initiate the process of placing an order by telephone. After the telephone call, we will send an e-mail to the e-mail address provided by you, which summarises what we discussed during the call, including a description of the goods you wish to purchase, the price of the goods in question, and your preferred method of payment. Within the 24 hours following receipt of the summarising e-mail, you may - depending on your preferred method of payment - place a binding purchase offer via a link in the summarising e-mail. Neither the telephone call nor the summarising e-mail constitutes a binding contract. If you wish to pay via pre-payment as further described in section II.2.2 below, the summarising e-mail will contain a link. Clicking on the link will constitute your final placement of a purchase offer in accordance with the contents of the summarising e-mail. If we have not received your payment within 7 days, we will send a payment reminder. If we have not received your payment within 14 days altogether, your order will be annulled, and you may instead contact us again in order to place a new order. If you wish to pay via PayPal or payment card as further described in sections II.2.3 and II.2.4 below, the summarising e-mail will contain a link which you may click in order to initiate payment via the preferred payment method. Your initiation of the payment will constitute your final placement of a purchase offer in accordance with the contents of the summarising e-mail. Our binding acceptance of your purchase offer – and thus final conclusion of the contract – will not take place until we confirm conclusion of the contract by e-mail, when we ship the ordered goods. ("Shipping and contract confirmation") . We may only accept orders placed by customers who are at least 18 years old. For technical reasons, unfortunately we do not accept orders via fax, letter or e-mail. The right of withdrawal described below only applies to customers who are consumers according to section 4a of the Danish Sale of Goods Act (købeloven). You have the right to withdraw from this contract - without giving a reason - within 14 days after the day on which you or a third party representing you, however not the carrier, received the goods into your physical possession. To exercise the right of withdrawal, you must inform us (reifencom GmbH, Südfeldstr. 16, D-30453 Hannover, Germany, email: info@daekekspert.dk, phone: +45 7873 7890, fax: +45 7873 7891) in an unambiguous declaration about your decision to withdraw from the contract (e.g. via letter, fax or e-mail). You may use the attached standard withdrawal form; however, this is not mandatory. The deadline for exercising the right of withdrawal is met, if your declaration is sent within the expiry of the withdrawal period. If you exercise the right of withdrawal under this contract, we will refund all payments received from you, including delivery costs (except additional costs related to your choice of another delivery method than the cheapest standard delivery method offered by us) without undue delay and in any case no more than 14 days from the day on which we received your declaration of withdrawal of this contract. We will process such refund via the same method of payment as the one you used in the original transaction, unless otherwise expressly agreed by you. In any case, you will not be subject to any charges as a consequence of the refund. We will collect the goods and pay the costs related to the collection of the goods. You will only be liable for a diminished value of the goods which is caused by any handling other than what is necessary in order to establish the nature, characteristics and the functioning of the goods. Unless otherwise agreed between the parties, the right of withdrawal does not apply to contracts regarding delivery of goods, which are not manufactured in advance, and for which manufacturing is decisively based on the individual choices or specifications from the customer, or which is unequivocally individually adapted according to the customer's personal needs. (*) To be deleted as appropriate. Upon our receipt of your declaration of withdrawal, we will arrange for collection of the goods. In this regard, our customer service will contact you in order to schedule the pick-up time. Collection is performed by a carrier acting on behalf of reifencom GmbH. We ask that you do not yourself send the ordered goods back to us without prior agreement, since we can only guarantee to pay the return expenses if the goods are collected by the carrier chosen by us. If you do not use the shipment method chosen by us, you will have to pay the return expenses yourself. Due to technical reasons, in some cases it will not be possible to refund a payment via the same method of payment that you used in the purchase. In such case, we will agree on another common method of payment with you in order to refund your payment. This will in any case not impose any additional costs on you. Your statutory right of withdrawal in accordance with section 3.1 will in any case not be affected by the information or comments stated in this section 3.2. The contract text will not be stored in our system and cannot be downloaded at a later time after conclusion of the ordering process. However, you have the option to print a copy of your order details immediately after placing the order. The contract is concluded in English language . You will have the option to review the details of your order and correct any errors before you place the final order, i.e. before you click the button "Place binding purchase offer". Please review your order carefully before placing it. The prices shown are total prices and include the statutory VAT applicable at the time of the order placement. Upon ordering a minimum of 1 motorcycle rim, 1 rim or 1 complete wheel, the goods will be delivered free of delivery charges in Denmark. Tires for passenger cars, off-road tires or tires for vans will be delivered free of delivery charges when ordering a minimum of 2 tires. We do not deliver goods to Greenland or the Faroe Islands. Any additional charges for smaller volumes are stated in our table over delivery costs. For any surcharge for small quantities please see our freight costs table. Goods ordered via on www.dækekspert.dk may only be delivered to addresses in Denmark (and not Greenland and the Faroe Islands). The prices as shown in the basket at the time of the order placement are identical to the prices on the current relevant product information page on the website. Please be advised that we sometimes are only able to offer special sale prices for a limited time. Additionally, the offers depend on the availability of the goods. Goods marked "1" or "in stock " will be shipped from our stock within approximately two business days after our verification of the payment information informed by the customer, or upon receipt of the payment (if pre-payment is chosen as the method of payment). When ordering rims, the delivery time may be increased by 4 to 5 days. The actual delivery time may in some cases, especially during busy time periods in peak season (October-December and March-April), deviate from the usual delivery time. Please note that the delivery time may be increased up to 7 business days due towhen assembling complete wheels. The delivery time applicable to goods marked "3" or "delivery inquiry " may be significantly longer. Goods marked "4" or "individual production" will be individually manufactured for you. Due to the individualised manufacturing, the delivery time will increase correspondingly. For tires the delivery time will be approximately 2 weeks, and for rims the delivery time will be approximately 2 to 4 weeks. Please note that all goods which are not marked "1" or "in stock" (i.e. "3", "delivery inquiry", "4" and "individual production ") need to be ordered home by dækekspert.dk before delivery. Therefore, marking of the availability of these goods are always subject to the actual availability of the goods at our suppliers. In case our suppliers are not able to deliver the relevant goods, we will contact you. Upon ordering rims and/or complete wheels, the delivery times set out in this section II.1 will be calculated from the time when we have received all information necessary to perform the technical assessment (cf. section I.2 above). You will in any case receive an e-mail confirming the availability of the goods in question. If it is not possible for us to acquire a specific product, we reserve the right to offer you an appropriate substitute product, which you may choose to accept or decline. If you wish to accept the offered substitute product, you must confirm so in writing. If you do not wish to accept the offered substitute product, it will unfortunately be necessary for us to annul the order. In such case, you will be informed by e-mail. As set out in section I.2, the goods and information shown on the website are only an invitation for you to give an offer, and in this regard Wwe reserve the right to correct any errors and make changes until a binding contract has been concluded (i.e. until you receive the Shipping and contract confirmation). All offers are subject to us having the goods in stock. Regardless of which method of payment you choose, you will receive an invoice by e-mail. The payment overview in the web shop may not be used as an invoice. reifencom GmbH reserves the right to exclude certain methods of payment in specific cases. Unfortunately, we are not able to receive payment in cash or checks. For pre-payment, you must deposit the total invoice amount in our bank account with information about the order number no later than seven (7) calendar days after your receipt of the order confirmation. Unfortunately, it will be necessary for us to annul your order, if we do not receive your payment within the stated time. For payment via payment card, the amount due will be drawn from your card account when the goods have been shipped. We accept the following payment cards: Visa, MasterCard, Diners Club/Discover and American Express. It is also possible to pay via the online payment service PayPal. To pay via PayPal, you only need to be in possession of a free PayPal account. Upon sign-up of an account on www.paypal.dk, you only need to insert your payment details once; all later payments take place by simply logging on to the PayPal account. Payment via PayPal is always free of charge for you as customer, and the amount due will be drawn from any deposited amount in your PayPal account, via direct debit or from the payment card which is registered with the PayPal account. reifencom GmbH does not control nor are we able to guarantee that the use of PayPal will remain free of charge. Delivery date: Delivery of the goods will take place within 10 business days (meaning working days excluding Danish and German public holidays) after receipt of the Shipping and contract confirmation, cf. section I.2. The goods will be delivered to the address you have provided. You will be informed by e-mail when the goods have been shipped. Shipping is conducted by a carrier chosen by reifencom GmbH. For consumers, the risk of the accidental loss of the goods transfers to you when the goods have been delivered to you (according to section 73 of the Danish Sale of Goods Act), or at the originally scheduled delivery time if delivery is delayed due to circumstances caused by you (according to section 37 of the Danish Sale of Goods Act). For business customers, the risk will pass to the customer on the date when the goods are handed over to the carrier . We use carriers for the purpose of shipping the ordered goods. If a delivery is damaged when delivered to you, the process is as follows: If possible, you must give notice of the damaged goods directly to the employee of the carrier and document the degree and extent of the damage to the extent necessary in order to be able to point this out to us later on. Consumers' rights according to the statutory right of complaint are not affected by this (see more under section II.5 below). In such situations, you may reject receipt of the damaged goods or schedule a pick-up time with our customer service. In any case, we ask that you contact our customer service whenever goods are delivered in a damaged state. This way, you help us put forward our claim against the carrier and improve our service to you. We do not manufacture the delivered goods ourselves. As regards claims under the Danish Product Liability Act, upon your request we will promptly inform you about the name and address of the relevant manufacturer. For consumers, the provisions on non-conformity set out in the Danish Sale of Goods Act apply. If a product is damaged or suffers from other non-conformity (e.g. incomplete delivery), you may claim remedy for non-conformity from us. For consumers, the absolute time limit for giving notice of defects is 2 years calculated from the time of delivery according to the Sale of Goods Act. For business customers, the following applies:>b> The time limit for giving notice of defects is 12 months calculated from the date on which the goods were handed over to you. This time limit does not apply in case of our fraudulent behavior; absence of a characteristic guaranteed by us; iin case of harm to life, body or health due to us; or damage due to our gross negligence. In such situations, only the ordinary statutes of limitation and rules about giving notice of defects under Danish law apply. In case of breach of material contractual obligations due to ordinary negligence, reifencom GmbH’s liability is limited to an amount corresponding to the foreseeable damage which is typical for the type of contract in question. Abstractly speaking, material contractual obligations are obligations, whose fulfilment are a prerequisite for even being able to carry out the contract appropriately, and whose fulfilment a contracting party may normally expect. For the sake of good order, please be advised that the mentioned limitation of liability does not apply to reifencom GmbH's obligations set out in subsection 1 (in relation to price, availability and delivery) and 5 (non-conformity and product liability). reifencom GmbH disclaims all other liability, especially liability which is not due to errors due to reifencom GmbH or our representatives. Liability according to the Product Liability Act remains unaffected by this section 6. If you have not paid on time, we reserve the right to charge a reminder fee for necessary reminders of payment. The reminder fee amounts to DKK 100 for each reminder, however no more than 3 reminders in total. Additionally, we have the right to charge a default interest according to the default interest rate applicable from time to time under the Danish Interest Act. Claims for reminder fees and/or default interest according to this section II.78 do not prevent us from submitting other claims in relation to loss suffered by reifencom GmbH as a consequence of the delayed payment. The customer may exercise a right of set-off against reifencom GmbH only to the extend (i) the claims are based on the same contractual relationship; and/or (ii) the counterclaims on which the right of set-off is based are undisputed or determined by a court ruling. It is possible to acquire information about our fitting partners for the various zip code districts on dækekspert.dk. Our fitting partners are able to assist with the fitting of tires and other items delivered by us. Additionally, you may choose to have the ordered tires and other goods delivered directly from us to a specific fitting partner for the purpose of fitting on your vehicle. However, please be advised that our fitting partners do not operate as a "package shop" from where the ordered goods may just be picked up. We only make the contact information of our fitting partners available to you. The work of the individual fitting partners is performed on the basis of a separate agreement concluded between you and the relevant fitting partner. Therefore, claims arising from the fitting work may only be submitted against the relevant fitting partner and not against reifencom GmbH. Consumers havethe possibility to complain online to the Danish Center for Complaint Resolution ("Center for Klageløsning") via www.forbrug.dk. However, please note that we do not participate in any online dispute resolution cases. This contract is governed by Danish law, however excluding the UN Convention on the International Sale of Goods. Consumers may in case of disputes regarding a contract between reifencom GmbH and the consumer choose to initiate legal proceedings at the ordinary Danish courts or at the court in Hannover, Germany. For business customers, the following applies: All disputes regarding contracts between reifencom GmbH and business customers must be decided by the City Court of Copenhagen.